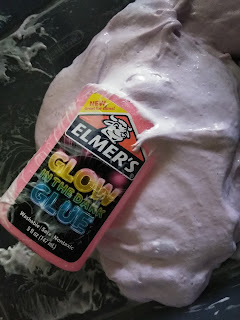 I have my 5 who are always asking me to make slime and well we did it once with Elmer's School Glue and Borax. 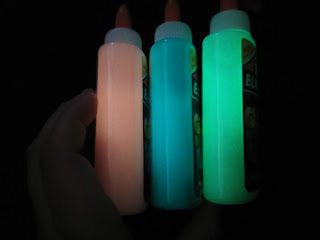 This time we got to make glow in the dark slime, that's right GLOW IN THE DARK! 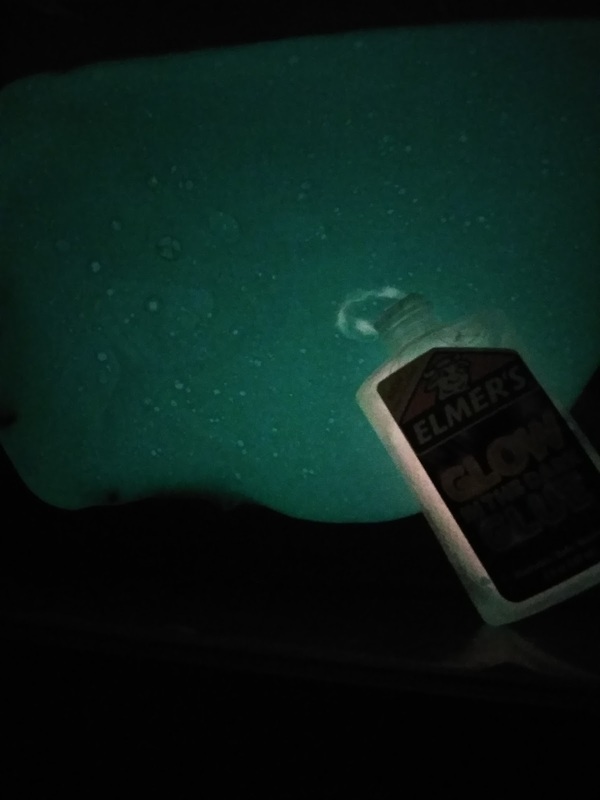 Now in stores, you can purchase Elmer's Glow in the Dark Glue. The new glue comes in 3 colors pink, blue and greenish yellow. When I got the glue the first thing I did was placed it in my window which gets sun most of the day for a supercharge glow :D Then I proceed to use the bottle of pink Elmer's Glow in the Dark Glue mixed with Tide, ( I bought the tiny bottle from Dollar Tree ) after mixing I also added some shaving cream which I heard can make it fluffy and it did :) After I made the slime I put it outside again in the sun. I am happy to report that with all the extras I placed in the slime that Elmer's Glow in the Dark Glue worked great! 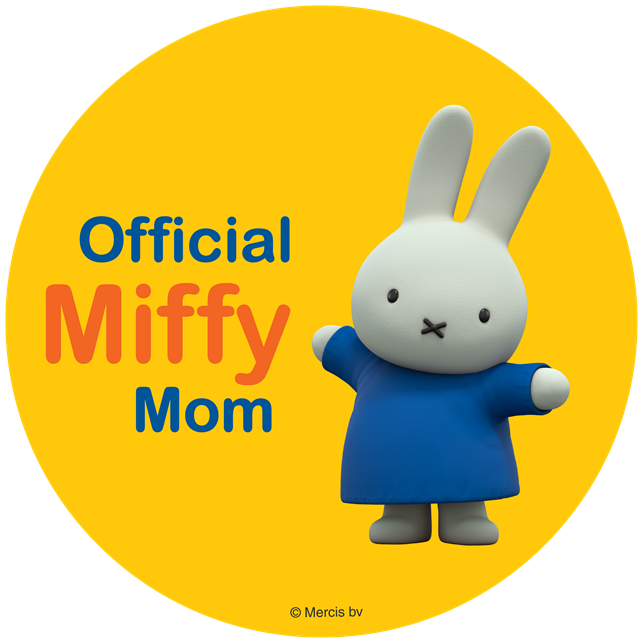 My kids were all like it is not gonna work blah blah blah, and all ran to the bathroom and turned out the light for a shock of OH WOW! How cool is it that now we can have slime that glows without having to pay a lot out of pocket, plus it is kinda educational, learning how to measure and mix etc, for the perfect slime. I will say though of the two times I made slime I would go the Borax route again, Tide made a bigger mess, smells great though LOL. 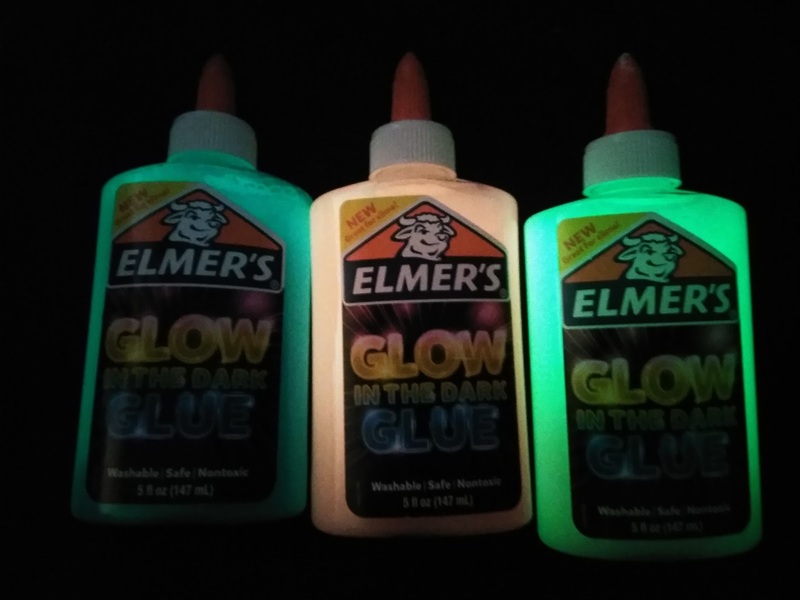 Anyhow just think of all the fun things you can do with Elmer's Glow in the Dark Glue, make a fun sign, decorate some of your light switches in the kid's room so they glow at night for an easy to find the switch. 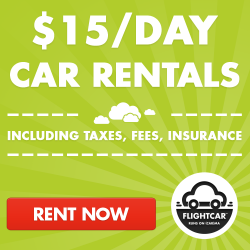 Add some to your outside decor for fun effects at night and more, the possibilities are endless! 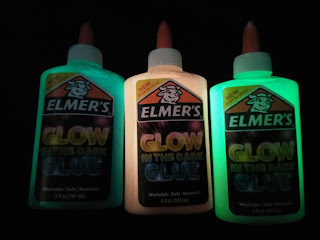 Check out the fun list of projects that Elmer's has for you to try with your kids by visiting http://elmers.com/ You can find the all new Elmer's Glow in the Dark Glue at your local retail and craft stores.